And the madness carries on, time to expand my list to 200 points...and actually build/paint all these guys. So I'm an assault sergeant both a lightning claw and a storm shield and squad on foot. So no jump packs, but a free rhino instead. Probably a waste of points, but I'm rather looking forward to the conversion opportunities. 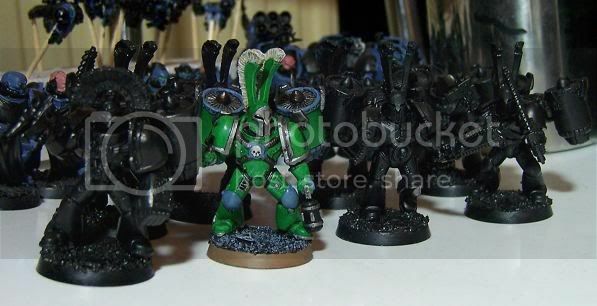 Planning on turning the guy into a mini-chapter champion, armed to the teeth with 'purified' chaos weaponry. So here's the updated armylist....actual progres will come soon, really. 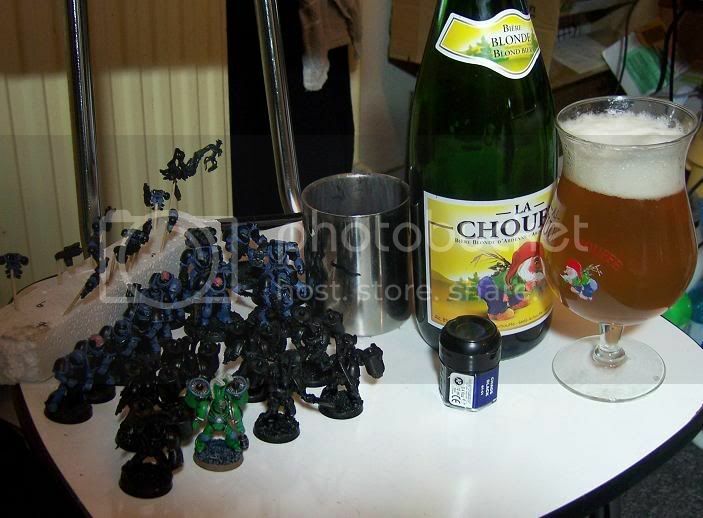 And aiming for a nomination in the 'most boring updates of 2009'-section we have a few pictures of some undercoated assault marines and a 'creativity stimulating' beverage. On the plus side, I'm really getting excited about these guys again. No more damned excuses, it's not like I can't spare 30-45 minutes each day to take 2-3 minis to the next stage right!